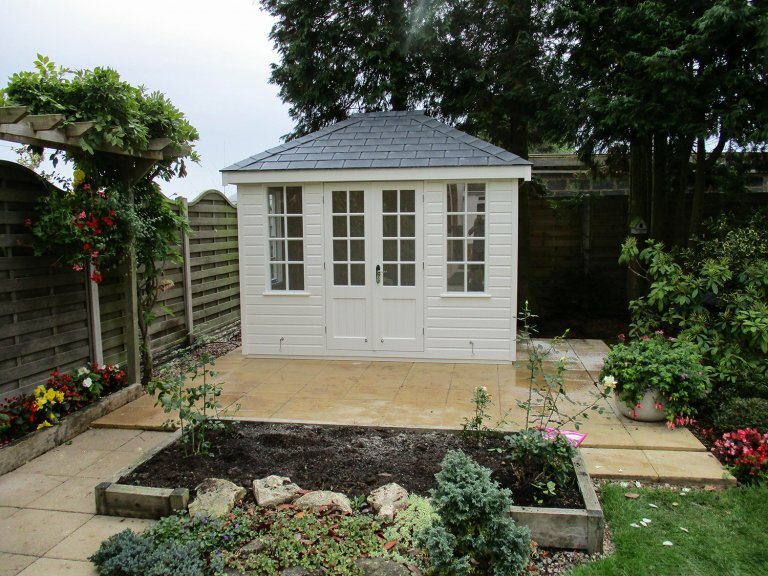 This stunning Cley Summerhouse was recently installed for a customer based in Cannock, Staffordshire. 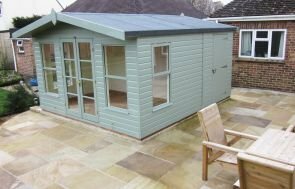 Designed and built at our factory in Norfolk before being both delivered and installed by our expert, in-house fitting team, the summerhouse measures 2.4 x 3.0m and features a distinctive hipped roof. Externally, the building boasts a composite slate-tiled roof and smooth, FSC® certified timber shiplap cladding painted in the exterior shade of Cream. There are four opening windows to allow ventilation that all feature Georgian bars for an attractive, traditional aesthetic. 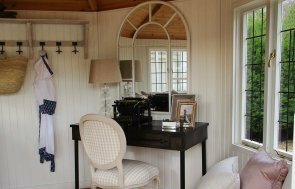 Internally, the summerhouse comes as standard with insulation and lining on both the walls and ceiling with the option to have your pine matchboard lining painted with one of our interior paint shades. There is an electrical pack installed to extend the use of the building through into the colder and darker months as well as engineered flooring offering further insulation and sound-absorption qualities. In order to browse the entire collection of Summerhouses, we suggest that you take a look online or by paying us a visit at your nearest show centre. With up to 25 different buildings on display and a team of friendly advisors on hand to help, our show sites are the ideal place to get a feel for your dream building. Locate your nearest here. Alternatively, get in touch with us to speak to a friendly expert.